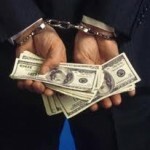 Former Tax Attorney Pleads Guilty to Tax Evasion – Really? According to DoJ, a former Indiana attorney, who also prepared tax returns for Indianapolis-area clients, pleaded guilty on April 4, 2019 to tax evasion. Scott C. Cole, 54, of Brownsburg, Indiana, pleaded guilty to one count of tax evasion for his multi-year effort to evade the payment of taxes and penalties on income he failed to report on his 2002 tax return. According to the Superseding Indictment and court filings, Cole was an attorney and preparer of tax returns. Cole Owed Over $1,000,000 In Taxes & Penalties, Stemming From Cole’s Fraudulent Omission Of Over $1.5 Million Of Income From His Individual Tax Returns For Those Years. dealing extensively in cash and money orders. Cole also prepared tax returns for clients that omitted his name as the paid preparer of those tax returns, a violation of the Internal Revenue Code and related regulations. The 2001 & 2002 Tax Years. Cole resigned from the Indiana bar following the filing of a complaint by the Supreme Court of Indiana Disciplinary Commission in 2014, which charged Cole with the filing of fraudulent tax returns with the IRS and the State of Indiana for the 2001 and 2002 tax years. U.S. District Judge Jane Magnus-Stinson, who presided over Cole’s guilty plea , is expected to schedule Cole’s sentencing for late summer 2019.